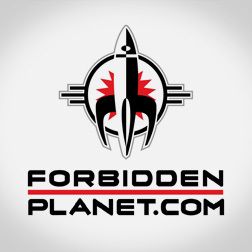 Forbidden Planet is the world’s largest and best-known science fiction, fantasy and cult entertainment retailer and the largest UK stockist of the latest comics and graphic novels. We specialise in selling action figures, books, comics, DVDs, graphic novels and toys and we offer all the best merchandise from the cult cream of movies and television. We have exciting stores in many major UK cities, including our famous London Megastore on Shaftesbury Avenue and Megastores in Bristol and Southampton. Red Carpet News TV is a proud supporter of the NSPCC and ChildLine. ChildLine is a free 24 hour counseling service for children and young people in the UK provided by the NSPCC. ChildLine provides confidential support and deals with any issues which cause distress or concern. Common issues dealt with include bullying, abuse, illness, self-harm, family concerns and separation. No problem is too big or too small, if young people feel scared, overwhelmed or just need to talk to someone they can call the confidential ChildLine hotline on 0800 1111 to speak to trained counselors. As many as 4,500 children phone ChildLine every day, though only 2,500 of these callers can be answered. Since ChildLine merged with the NSPCC their services have expanded, and depends on public generosity to pay for the children’s phone calls. 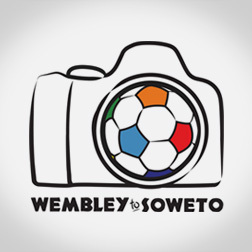 Red Carpet News TV is a proud supporter of Wembley To Soweto. Founded in 2010 by Willton Pictures and internationally acclaimed photographer John Cole, Wembley to Soweto transformed the lives of children from the poorest townships of Johannesburg in South Africa. The scheme provided a 4 week intensive photography course for township teenagers. This course not only produced an exhibition of striking images, it empowered these young people to fulfil their hopes and dreams. Teenagers who took part in the original project have since been awarded full scholarships to photographic colleges and gone on to work for Vodacom, the South African Parliament and the United Nations. Their work has been published in magazines such as Marie Claire and exhibited by leading galleries in New York, Antwerp, London and Johannesburg. Following this extraordinary success, the project has launched a major national campaign aimed at encouraging young people across the UK to pick up a camera and discover the extraordinary rewards and power of photography. Working in direct partnership with local government the scheme will run a series of similar photography courses in major cities and towns throughout the country over the next six months. Climaxing in participation with the opening events of the London 2012 Olympics. The goal is to ignite a passion for photography in young people, regardless of their means and background, giving them a creative voice and a unique opportunity to express themselves. The Mandela family championed the original programme in South Africa and the UK campaign has already attracted high profile support from figures such as Bill Nighy, Tamsin Greig, Emily Watson, Newcastle United FC and The Barclays Premiere League. The Red Carpet News TV website has been designed and developed by AREA10: Creative. AREA10: is an independent media design studio based in south west London. 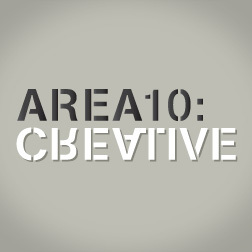 Working closely with their clients, AREA10 pull together specialists in brand strategy, graphic design, digital media and video to produce a coordinated blend of creative, cross-media communications.